When the war broke out the Earl and Countess of Suffolk were amongst the first to offer their home, Charlton Park in Malmesbury, to assist the war effort. 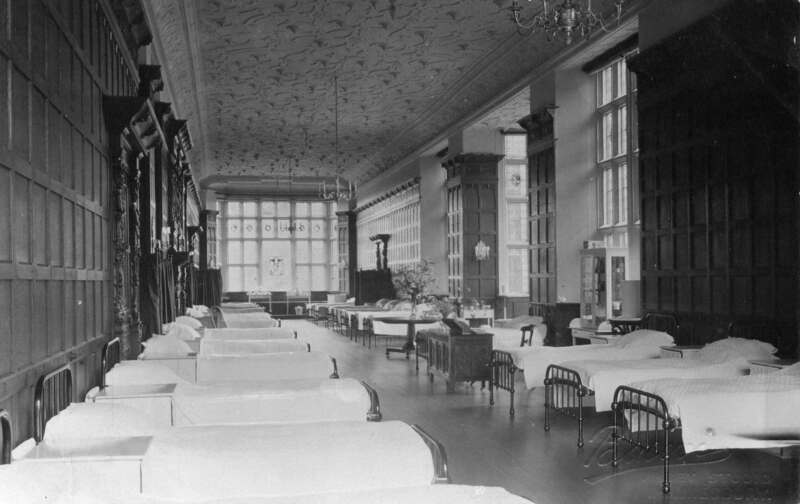 In the grounds, a temporary encampment for Belgian refugees was established and inside the house the Picture Gallery was fitted out as a 30-bed ward for wounded soldiers. Ancillary areas comprising an operating theatre, nurses’ quarters, lavatories and baths were also provided at considerable expense. 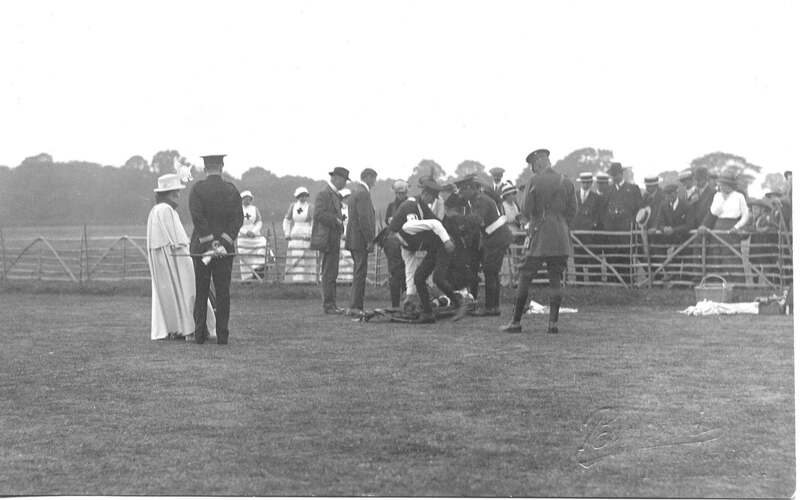 Eleanor, Dowager Countess of Suffolk, served as Commandant assisted by Miss O’Brien as Matron, four trained nurses and the ladies of the Red Cross Voluntary Aid Detachments of Malmesbury, Charlton and Crudwell. Each VAD member worked half a day per week. The hospital was an auxiliary to the 2nd Southern General Hospital, Bristol and the first patients arrived on 27 October 1914. A year later Lady Suffolk decided to join her husband in India and closed the hospital. Altogether 148 patients were treated, mostly recovering from wounds with about 30 medical cases including some suffering from frost-bite. Rehabilitation formed an important part of the treatment, with cricket, bowls and other outdoor games being enjoyed. The Suffolks not only bore the cost of setting up the facility but did not receive any payments from the government until June 1915 when 3s. (15p) per patient per week was received. The 30-bedded ward in the Picture Gallery of Charlton Park. Eleanor, Dowager Countess of Suffolk surveys the Officers taking exercise in the grounds of Charlton Park. After the closure of Charlton Park, no immediate replacement was found, but the committee of the Cottage Hospital at the Market Cross arranged for it to be registered as a Red Cross emergency hospital should the need arise. The Red Cross took control on 26 July 1916 in response to the many casualties arising from the battle of the Somme. Extra working class VADs had to be found to wash the laundry at their homes. It quickly became apparent that more capacity was needed and the following month a recreation room with a billiard table was established in the Wesleyan Chapel in Oxford Street. 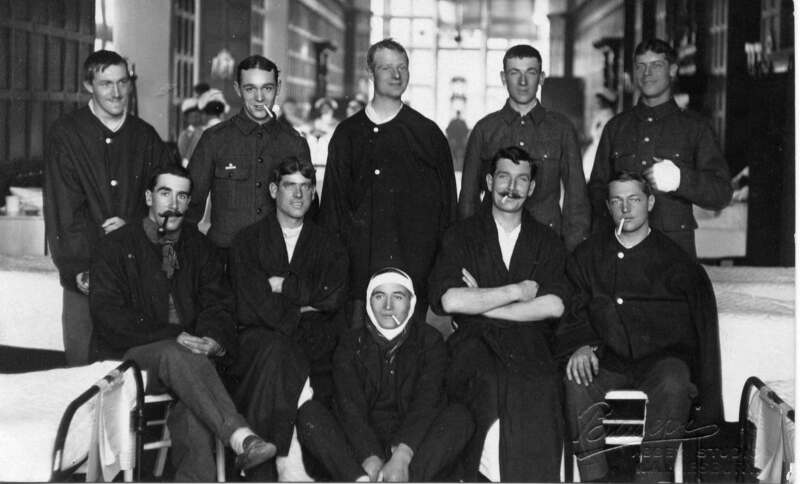 In November 1916 another ward to accommodate 10 patients was created in the Y.M.C.A. at Cranmore House, Market Cross and the whole of the Wesleyan Chapel was converted into a 25-bed ward. The hospital ward in Malmesbury’s Wesleyan Chapel. 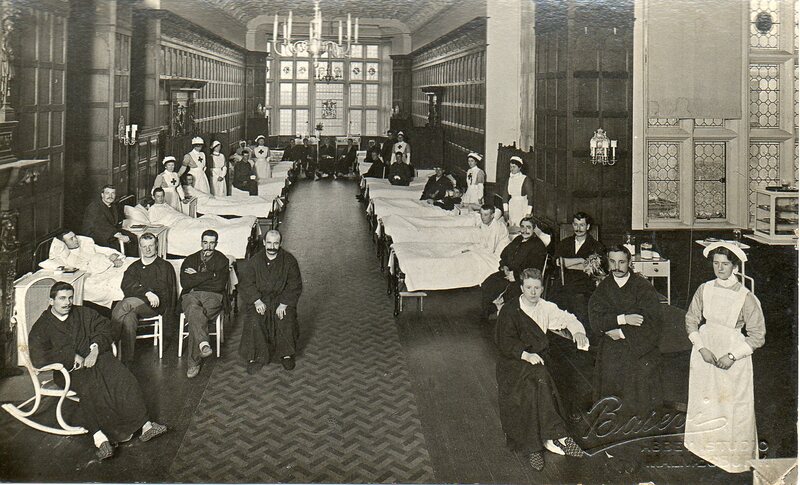 During 1917 the flow of casualties increased further, so after Colonel Miles offered the Manor House, Burton Hill free of charge, money was raised locally to transform it into another 25 bed ward which was opened on 6 June 1917. The total capacity peaked at 90 beds. The Commandant, Miss Gertrude Luce, was awarded the O.B.E. for her work, the Matron, Miss M. A. M. Wellicome, was invested with the Royal Red Cross by the King and several others had their work recognised. 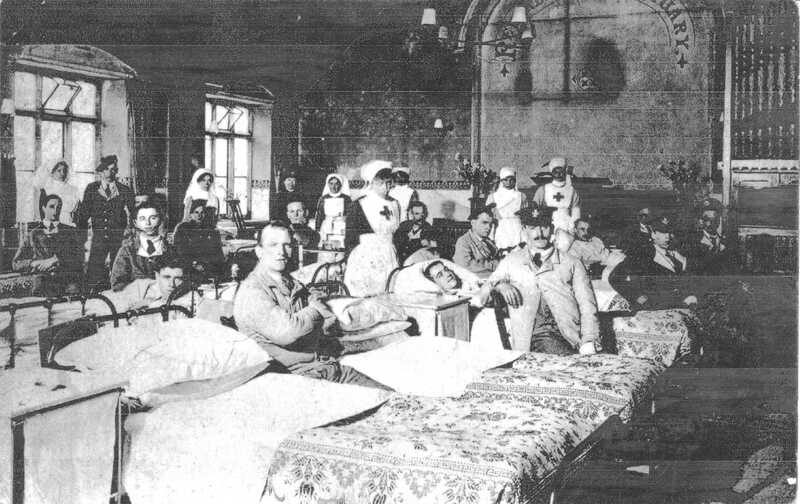 The extra wards were closed and the Red Cross relinquished control of the Cottage Hospital on 14 June 1919. This contribution was submitted by Charles Vernon of Athelstan Museum, Malmesbury.